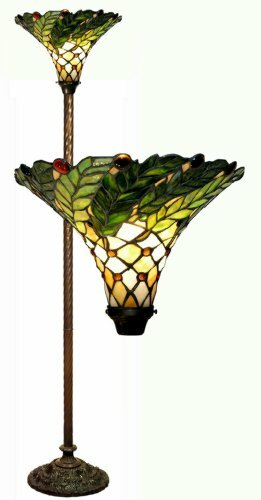 Tiffany Style green leafy Torchiere. The base is made of white zinc metal.The dimensions are 15''L x 67''H x 15''W. The Primary colors are shade of green and yellow green.It has cord switch in it.It Requires 1 bulb with a max of 60watts. It has more than 200pcs. of cut glass.Each glass is individually cut wrap around copper foil and sotterred together. Tiffany Style Barouque Torchiere. The base is made of white zinc metal.The dimensions are 13''L x 70''H x 13''W. 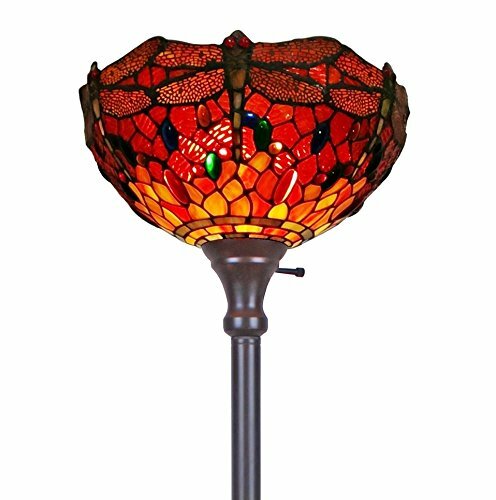 The Primary colors are Rustic, Red and Green.It has cord switch in it.It Requires 1 bulb with a max of 60watts. It has more than 200pcs. of cut glass.Each glass is individually cut wrap around copper foil and sotterred together. 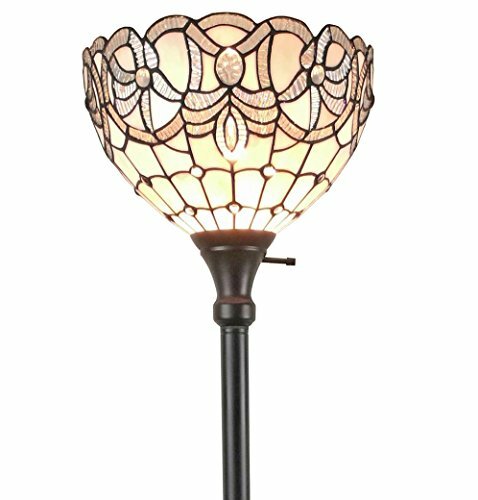 GRENVILLE, a Victorian torchiere floor lamp, will make a design statement by itself. 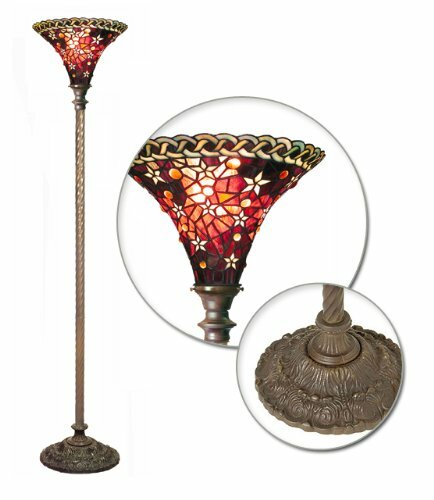 Expand the effect by adding one or more of the other lamps in this design style. Expertly handcrafted with top quality materials including real stained glass, gem-like cabochons and sparkling crystals. The resin base and metal pole are finished in an antique bronze patina. 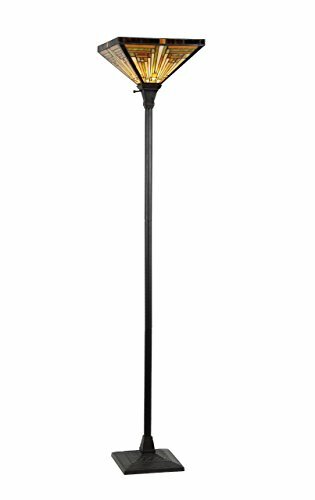 Amora Lighting AM284FL12 Tiffany Style White Torchiere Floor Lamp 72 Inches Tall, 72"